I absolutely love my slow-cooker. I love how on a busy day that I can whip up something quickly in the morning, stick it in the slow-cooker and let it do it's thing. That's not all I love about it. I love the aroma it puts throughout my house. I love coming home from a long day out and I know that dinner is ready without much preparation. What I don't like is I don't very often come across a recipe that I would want to make again. For example, last summer my family and I went to Tennessee with my brother and his family. I had found a slow-cooker recipe for buffalo chicken sandwiches. I thought, how perfect, we can go boating all day and come home with dinner ready. The recipe was just okay though, I wasn't much impressed. 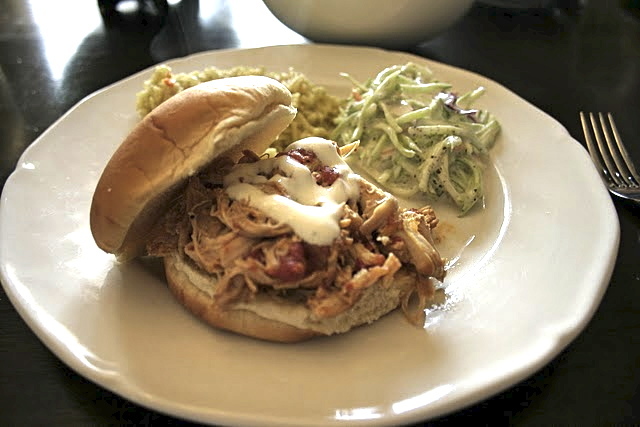 So, my search continued for a yummy slow-cooker spicy buffalo chicken sandwich recipe. Now my search has ended! 1 package frozen seasoning blend - onion, celery, peppers, etc. To skillet, seasoning blend and garlic and cook over medium, stirring constantly, until onion is translucent, 6 minutes. Add 1/4 cup water and cook, stirring and scraping up browned bits from skillet, 5 minutes. Season with salt and pepper and transfer to slow cooker. To slow cooker, add diced tomatoes, hot-wing sauce, Worcestershire, mustard, and honey; stir to combine. Cover and cook on high until chicken is very tender, 4 hours. 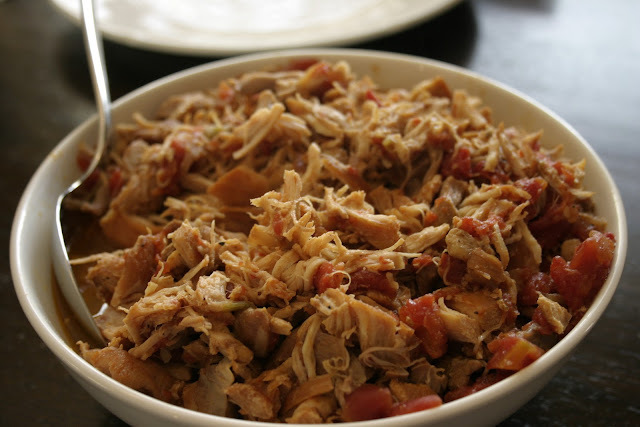 Shred chicken and season to taste with salt and pepper. Serve on buns. Cooks Note: I added a little bit of Ranch dressing to my sandwich. Blue cheese would be awesome! I served this alongside coleslaw. 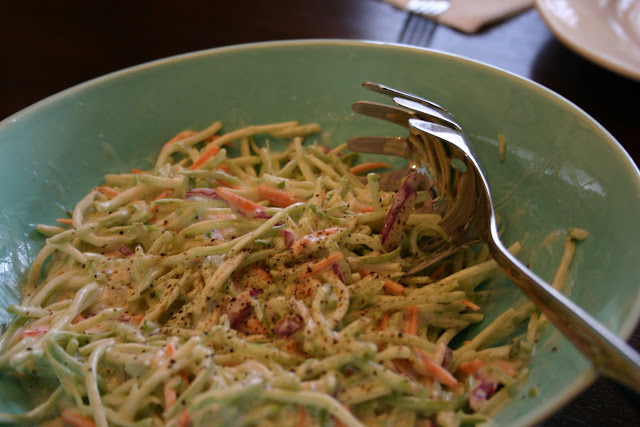 To keep with the quick preparation theme I had going here, I purchased a bag of coleslaw in the produce section and added Marie's Coleslaw Dressing and cracked black pepper. Super yummy, super quick! I've never actually used a slow cooker but this looks really good. Nice photos. Thanks Chris! The hubby is teaching me how to use the nice camera. The cell phone pics just don't do the food justice!